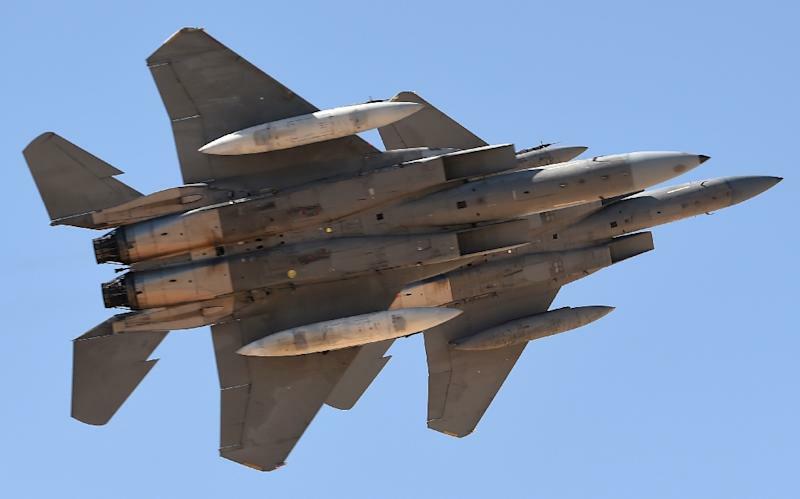 Riyadh (AFP) – A military coalition led by Saudi Arabia said Sunday it had destroyed sites used by Huthi rebels in neighbouring Yemen to launch missiles at the kingdom. The coalition announced in a statement the “destruction over the past 24 hours of ballistic missile (launch) sites run by the Huthi militias in Saada”, a northern Yemeni province bordering Saudi Arabia and controlled by the Huthis. Riyadh and its allies are fighting alongside Yemen’s government against the Iran-backed Huthis in a war that has killed thousands and pushed impoverished Yemen to the brink of famine. Saudi Arabia’s government-run Al Ekhbariya TV aired a 49 second clip showing black and white ariel footage of what it said was a coalition strike on Saada. The footage could not be independently confirmed. Saudi Arabia has come under increasingly frequent missile attacks launched by the Huthis from northern Yemen this year. The kingdom’s air defence forces say they intercepted all missiles, and only one casualty has been reported. Saudi Arabia, the biggest crude exporter in the world, last week announced it had temporarily suspended oil shipments through the Bab al-Mandab Strait after a Huthi missile attack on an Aramco vessel. The strait connects the Red Sea to the Arabian Sea and is a crucial passage for oil and trade. “The coalition will not allow the Huthi militias to build military capabilities that threaten regional waters,” the coalition said. The Saudi-led alliance intervened in Yemen in 2015 to back the country’s internationally recognised government after the Huthi rebels forced President Abedrabbo Mansour Hadi out of the capital Sanaa. Nearly 10,000 people have been killed in the Yemen conflict since the 2015 intervention, 2,200 of them children. Saudi Arabia accuses its regional arch-nemesis Iran of smuggling arms to the Huthis through Yemen’s ports, namely the Red Sea port of Hodeida. The Hodeida port was blockaded by the Saudi-led alliance earlier this year to retaliate against the rebels’ missile strikes. On June 13 Yemeni forces launched a major offensive to retake Hodeida. Rebel-held Hodeida is the entry point for some 70 percent of imports in a country where eight million people face imminent famine.